The purpose of the Western Association of Schools and Colleges, is to make sure schools are effectively preparing all students, and have the responsibility to accredit institutions. The mid-cycle report was completed on March 19 and 20. On the first day of the visit, WASC visitors not only observed and visited classrooms, they also met with teachers and students from each small school. In spring of 2015, South East High School received a six-year accreditation with a three-year mid-cycle report. In the past, South East has received a three-year accreditation in 2006, and a six-year accreditation with a three-year mid-cycle report in 2009. The five areas are: to check for understanding strategies and techniques to ensure students master the content of the lessons, to make sure students with disabilities are actively engaged in daily lessons, to develop career and technical education for students, to develop a schoolwide instructional differentiation plan and to analyze student achievement in order to improve student mastery of the course content. This year, the three-year mid cycle-report was successfully completed. South East showed many strengths, such as having a strong administrative team, staff that has worked diligently to make sure students with disabilities have access to all curriculum and general education peers, among others. The five areas of follow up were completed, but South East still has three critical areas of focus. “This time they’re much more detailed,” said Tinajero. The three areas are: to continue to integrate students with disabilities, to continue to engage students in career focused learning, and to continue to use techniques that engage students and increase student achievement. 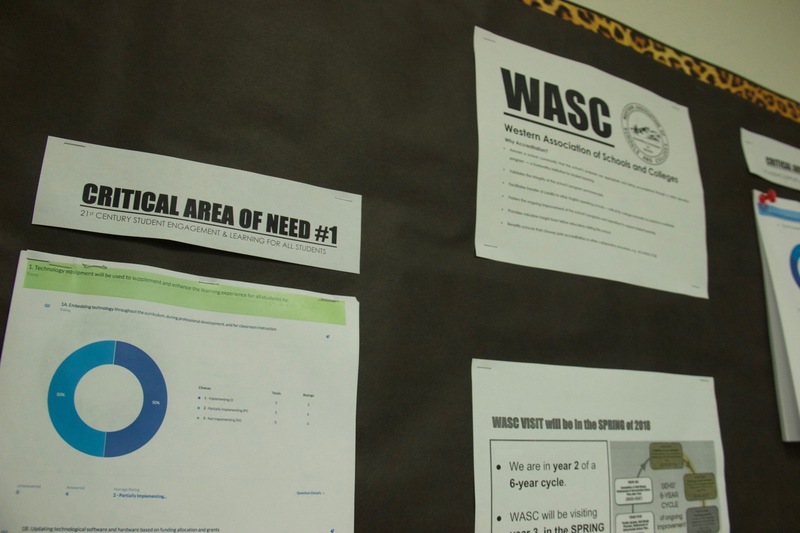 South East has six weeks to update the action plan and upload it to WASC.